If you thought that Ferraris and Porsches were seeing all of the post-boom market correction activity, spare a thought for anyone who bought a Land Rover during the gold rush triggered by the ending of Defender production. 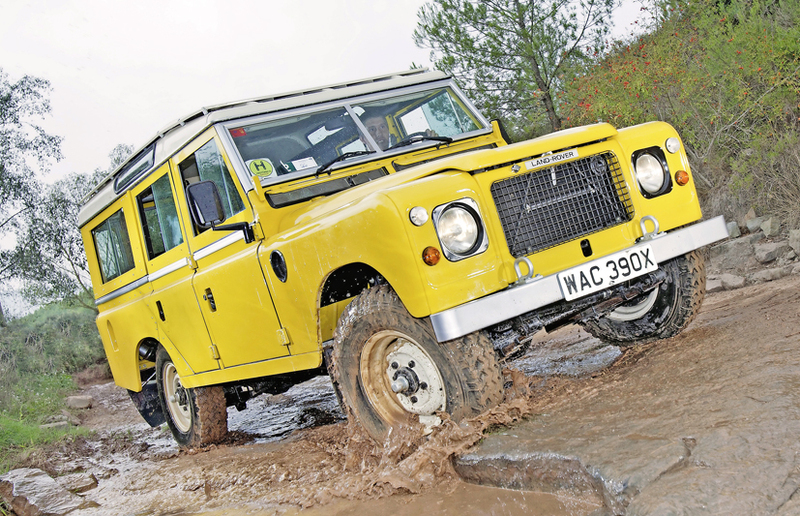 Our Price Guide Movers figures in the latest issue reveal that the Defender V8 has dropped 15% since our last update, bringing prices of project cars down to £1.6k, usable examples to £3.25k and the best to £7.25-12k. This was the last model that could trace its bloodline back to the original Land Rover of 1948 and prices leapt when Land Rover finally drew it to a close. So far, other models have proven more resilient, with falls ranging from 4.5% for the 1979-83 Series 3 Stage 1 V8 to 8% for the regular Series 3 models. But owners shouldn’t panic, over the longer term, the best surviving examples of such an iconic car will always be desirable so expect solidity to return once the correction has settled out. For 29 pages of buying tips and advice, including Quentin Willson’s annual Smart Buys special feature, have a look at the latest issue of Classic Cars. Is the Porsche slide slowing? Further evidence that the major correction in overheated Porsche 911 prices may be slowing comes from the impact-bumper Carrera 2.7 built from 1973-77. In our latest Price Guide Movers data revealed in the current issue we see a drop of just 3.1%, bringing those entry level rough examples down to a still meaty £55k, while tidy, usable cars are £80k and the really good ones £120-155k. In the same issue we see a similar pattern regardless of era of Porsche, with those highly collectable pre-A 356s built in Gmund from 1949-50 down 5% and the last of the air-cooled 911 (993 generation) Turbos built from 1995-98 down 2.1%. It suggests that the market correction is unlikely to deliver the sort of bargain 356s and 911s that we used to enjoy, but it may be worth hanging on in hope. For 29 pages of buying tips and advice, including Quentin Willson’s annual Smart Buys special feature, have a look at the latest issue of Classic Cars. This low-mileage, fully-historied example of BMW’s impressive big coupé is difficult to fault. Reassuringly, this complex machine comes with a folder of receipts and a service book full of BMW dealer stamps. Yes, the most recent was 2013 but that’s fewer than 2000 miles ago and this unrestored car has since had a pre-sale inspection. The history reveals it has been re-registered more than once, starting with H855 XYU and now C9 OFF, and it’s had six former keepers. The car seems to have had care lavished on it – a new door seal was bought in February 2018 for £351 and there’s a BMW specialist bill for investigating why the engine was running on one bank in 2017 for more than £6200, with £3237 of that being parts. That year a power steering leak was sorted and a new steering control unit installed. The cruise control and an electric window have recently been repaired. 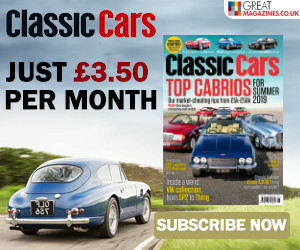 To read the rest of this Ads on Test article, part of 29 pages of buying tips and advice, including Quentin Willson’s annual Smart Buys special feature, have a look at the latest issue of Classic Cars. Buy a Toyota MR2 now? 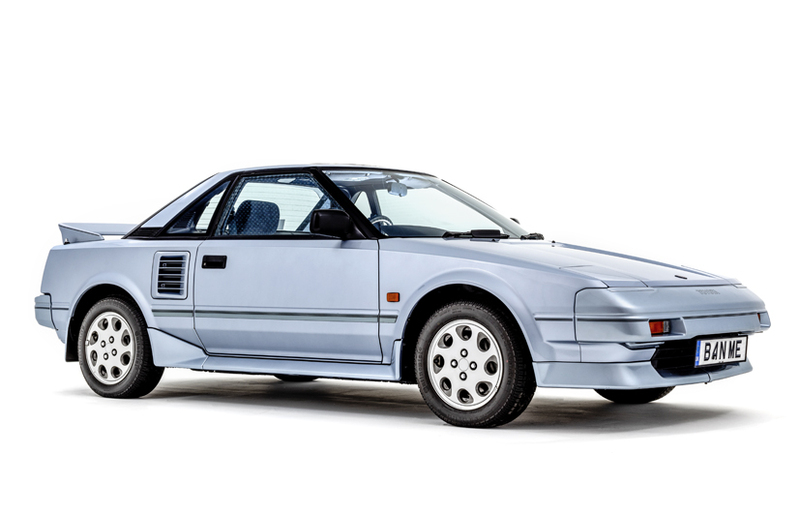 Despite the upsurge in values for Eighties classics that we’ve seen in recent years, the brilliant Toyota MR2 MkI has remained good value. That’s a surprise, given the way early Mazda MX-5s are going because the MR2 is similarly great fun to drive with pointy handling and that eager twin cam buzzing merrily away behind you. While the Mazda’s more conventionally pretty, it’s also a piece of retro design that borrowed heavily from the original Lotus Elan. The MR2 is far more confidently of its time, all near-flat surfacing, hard edges and panel-kitted aerodynamics. If you’re still not convinced about the looks, just drive one on a twisty road for twenty minutes, and if B-road Britain eludes you, anywhere with a few roundabouts to showcase its mid-engined agility. Such driving joy ranges from sub-£2000 for tatty but usable cars, through to £5k for the best MkIb. With a little help from the buying guide in our latest issue it’s easy to avoid the sort of troubled, neglected cars that will undermine the MR2 experience. Remember, it took a long time for the world to fall in love with the Ferrari Testarossa again, but it did. Maybe the MR2 MkI will be next. For 29 pages of buying tips and advice, including Quentin Willson’s annual Smart Buys special feature, have a look at the latest issue of Classic Cars.